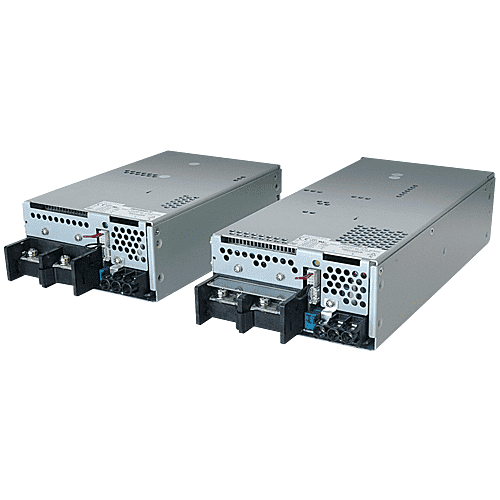 Helios announces the introduction of the RWS1000B and RWS1500B series of AC-DC power supplies, extending our popular 300 to 600W RWS-B range. Rated at 1000W and 1500W output power, the units are available with 12V, 15V, 24V, 36V and 48V outputs. Both series feature screw terminal blocks with covers, in place of widely used busbars, allowing easy connection of the output cables. These new models are well suited for general industrial, communications, test and measurement and LED signage applications. Accepting a wide-range input of 85 to 265Vac, the high power RWS-B series can operate in ambient temperatures of -20 to +60°C, derating linearly above 50°C to 60% load at 60°C. The outputs are adjustable by -15/+10% to accommodate non-standard voltages. The overall case dimensions (W x H x D) for the 1000W are 127 x 63 x 198mm, and 127 x 63 x 261mm for the 1500W models. 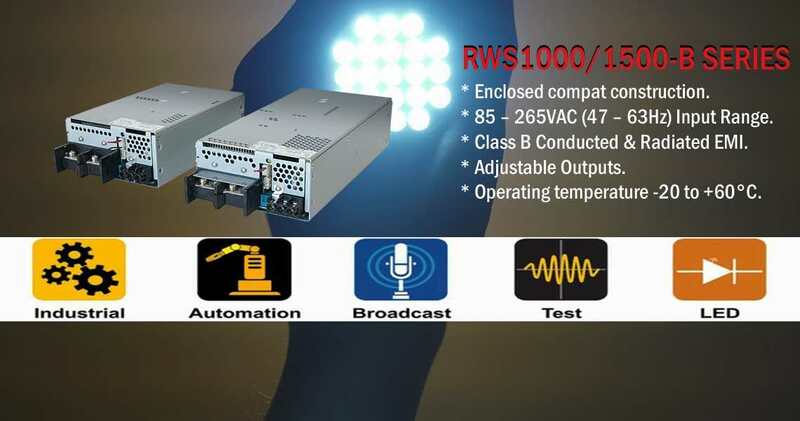 Optionally, the 1000/1500W RWS-B power supplies can be ordered with double sided board coating, reverse airflow, remote on/off, single wire current sharing and DC good and fan alarm signals. The units are safety certified to IEC/EN/UL 60950-1 with CE marking for the Low Voltage and RoHS2 Directives. The units also comply with EN 55011-B and EN 55032-B conducted and radiated emissions, and meet the EN 61000-3-2 harmonics and IEC 61000-4 immunity standards.